An easy bubble plot maker that helps make bubble plot and charts with free templates. 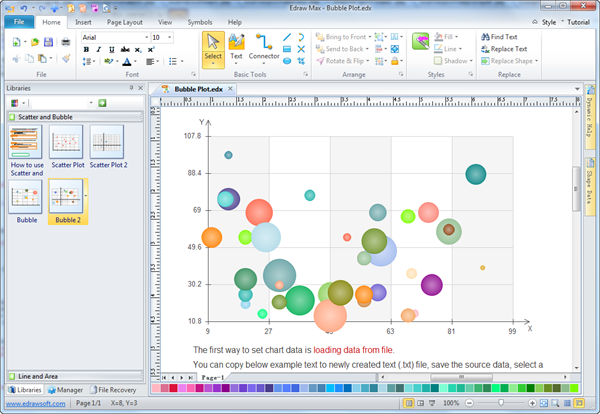 Quickly and easily create bubble plot and many other diagram types in minutes. Discover why Edraw is an awesome bubble plot maker: Download it Now. Edraw Bubble Plot maker is used to visualize the relationships in business. For those already accustomed with other Microsoft apps such as Word or Excel, the interface will be very familiar. Simply drag and drop bubble plot symbols, apply built-in designed themes, and share your finished bubble plot into a presentation or PDF with one click automatically. Use Edraw to automate, visualize and customize your bubble chart design. 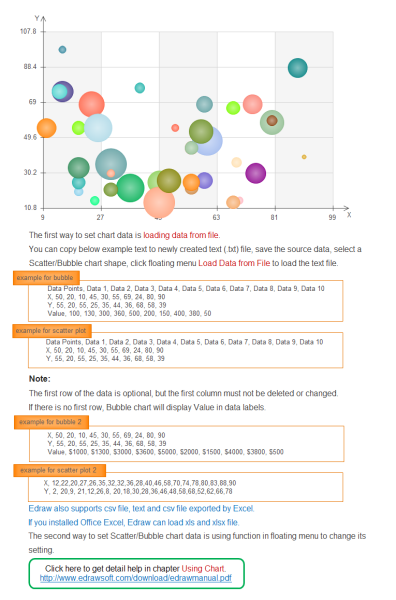 Click here to learn how to make bubble plot.